Sometimes you just don't want to tuck in your shirt, ya know? I mean, when it comes to weekend style it's always nice to be a little untucked (considering I work in a profesh office environment where I try to keep it fairly "buttoned up," especially when I'm seeing clients). I was so excited about my new teal pumps I just had to bust them out last weekend. What do you think? They're a little 80's but so amazing! 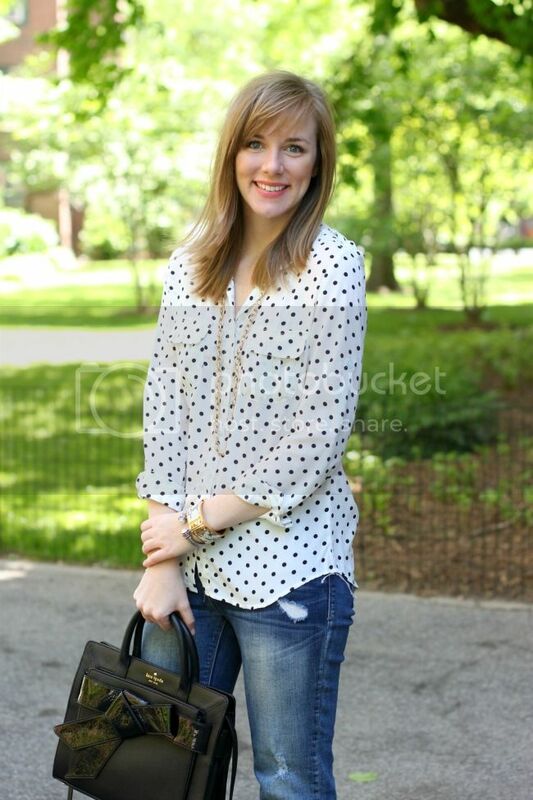 You look gorgeous, I love the combination of the jeans and feminine blouse. And that bag is TO DIE FOR! Gorgeous! A girl after my own heart, as I plan on wearing an almost identical outfit for a friend's upcoming birthday! The shoes are beautiful! Love the color and snakeskin! Looove those shoes with this!! Have I mentioned how adorable you are?! 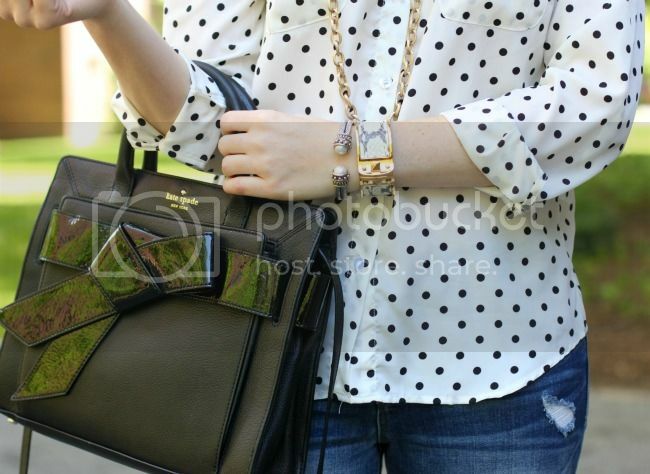 polka dot shirts are like my favorite thing to wear, seriously! yours looks adorable with those shoes...and that bag!! !